Established in 1997, Coomera Anglican College is an independent co-educational school for students ranging in age from Early Learning and Preparatory through to Year 12. The campus comprises a primary school, junior secondary school, senior secondary school and an early learning centre. The College uses interactive technologies in its teaching and learning framework. In collaboration with Alder Constructions and Burling Brown Architects, our switchable privacy glass has been installed as a major feature in a circular room providing 360deg views of the surrounding internal facilities. Suspended on the upper floor level, the circular room comprises a collaborative learning space for students and teachers. At the flick of a switch Switchglass can be turned off for privacy, or switched on for transparency. 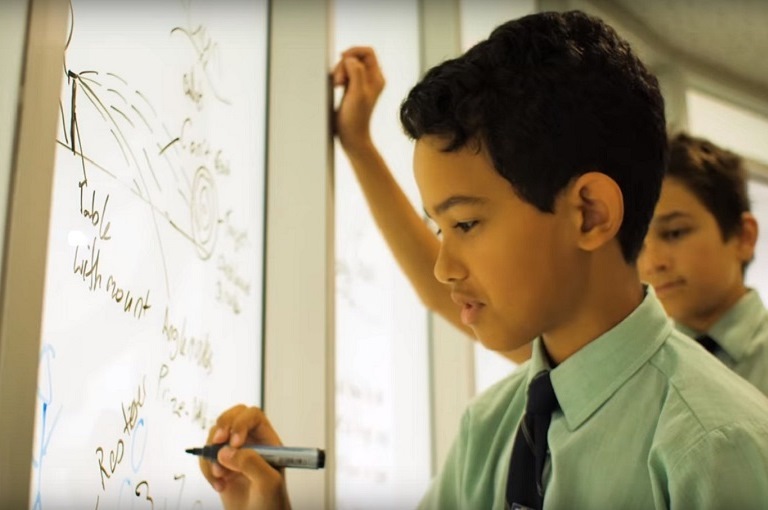 Doubling up as a whiteboard the versatility of switchglass encourages even more interactive learning in a high-tech fashion.